As an operator, you should ensure that a Transport Manager nominated on your licence (Standard Licence holders) is fully qualified and up-to-date with their training. 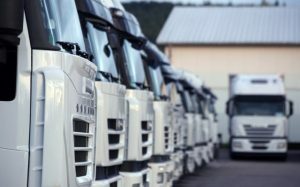 Similarly, if you are an operator or manager who has responsibility for a transport operation, this course will provide you with the knowledge and understanding of the statutory requirement for the continuous and effective management of the transport operations and the importance of ensuring compliance with the Operator Licence undertakings and obligations. This two-day Manager’s CPC Refresher course provides Transport Managers and Standard National or International operators with in-depth information and the latest legislation relating to the Manager’s CPC qualification. The course includes a comprehensive overview of the Operator Licence obligations and undertakings. A certificate of attendance will be provided upon satisfactory completion of the course. This one-day Operator Licence Awareness Course (OLAC) provides an essential overview of an Operator’s Licence undertakings and transport compliance obligations. This course is specifically designed to support and guide Restricted Licence operators and/or personnel responsible for the continuing compliance and undertakings provided to the Traffic Commissioners Office. Get in touch with the OLAC and Management CPC Refresher course specialists today! To find out more about TAC’s services or to book one of our courses, contact us online or call 01375 887 245 and a member or our expert team will be happy to discuss your requirements!